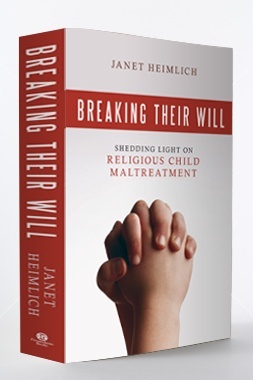 Valerie Tarico interviews Janet Heimlich, author of Breaking Their Will: Shedding Light on Religious Child Maltreatment . During eight years working for NPR, Heimlich never shied away from controversial topics. She won nine journalism awards, in part by doggedly exposing injustices in the death penalty and prison systems. Most recently she made her way behind another set of locked doors, into the inner sanctums of authoritarian religious communities. Tarico: What got you focused on such a hot potato of a topic? Heimlich: I came upon the idea rather gradually. As a first-time mother at the age of 41, I first simply became focused on children’s issues, such as compassionate parenting. I then started to notice high-profile stories in the news, such as the child sexual abuse scandal in the Catholic Church. One week in 2008 was particularly poignant: The pope came to the U.S. and spoke publicly about the scandal for the first time; meanwhile, authorities raided a polygamous fundamentalist Mormon group in west Texas, based on concerns that members were conducting marriages between men and underage girls. So, in some ways, my discovering the issue of religious child maltreatment was a personal venture, but, in other ways, it was very similar to how I come upon any story as a journalist. Heimlich: As I state in the book, families generally benefit from participating in religious activities. Still, we are only beginning to understand how children are harmed in certain religious communities. In my research, I found that, in these problematic cultures, the good of the faith community as a whole takes priority over members’ individual needs, and this is particularly true with how those communities view children. I should also point out that, while many people of faith point to scriptural passages that appear to glorify children, those passages are few and far between. The Bible actually says very little about children being important people—for example, children are basically ignored in the Ten Commandments—and when children are discussed in the Bible, they are often portrayed as victims of violence. Tarico: How did you go about your research? Heimlich: Basically, I read everything I could get my hands on regarding the mistreatment of children in religious environments. I plowed through hundreds of news articles and studies. I also interviewed dozens of adults who had been victims, as well as the few experts who have studied and written about the issue. I’m still trying to keep abreast of it all. I’d like to believe that religious child maltreatment is not as bad today as it was years ago—and to some extent, I feel that that’s true—yet new cases continue to shock me on a weekly basis. Tarico: What was the most heartbreaking story you encountered? Heimlich: When I was still mulling over the idea of writing this book, I kept playing devil’s advocate with myself, questioning whether religious child maltreatment was, in fact, a serious problem today. One day, I noticed a brief news blurb in the New York Times that settled the matter for me. The article explained that a little boy, a toddler, had been starved to death by a small cult inBaltimore for failing to say “amen” at mealtimes. What was particularly shocking to me was that this was not just the work of one deranged person—four adults were implicated in the crime, including the boy’s mother. Later, I would learn just how persuasive cult thinking can be; I’ve since gotten to know the dead boy’s grandmother who has gone through much heartache. The other case involved a man named David Yoder who grew up in a conservative Amish community and today works to try to reduce child abuse in Amish communities. The first time we spoke, David told me how, when they were boys, he and a friend were mercilessly beaten by their fathers at the same time for being disobedient. The “crime” was fighting, although the boys had done no more than toss a piece of wood at each other. (This was reported by their teacher, and David’s father never got his son’s side of the story.) Again, the violence these boys endured was not delivered by a sadistic or mentally ill individual—both adults colluded to whip the boys until they apparently were close to death. 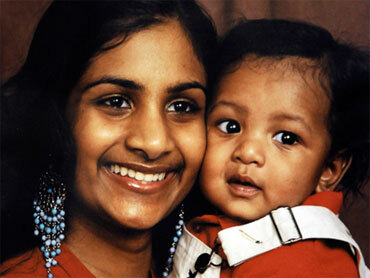 But it’s not only important to call attention to child abuse in religious communities. In each case, my book examines how the belief system of those communities leads to the abuse. Tarico: At this point, how would you describe the relationship between child abuse and religion? Heimlich: I think the most important message of my book is this: Religion can provide children with a wonderful upbringing, but it is naïve and irresponsible to see religion only as a force for good. We’ve all seen how religion can lead people to go to war and wage terror on others. In the same way, religion can be a source for child abuse and neglect. As I often say, religion can bring children great comfort, but it can also turn their lives into a living hell. The sooner we accept that, the sooner we can hope to reduce child suffering. Religion can bring children great comfort, but it can also turn their lives into a living hell.Tarico: Are some kinds of religious communities more prone to maltreatment than others? What are the patterns? Tarico: Is child maltreatment one of those areas where faith has “gotten a free pass?” – Can people can do things in the name of faith that would be considered unacceptable otherwise? Heimlich: I can name many examples where child abuse in religious communities is more or less accepted, while the same maltreatment would never be tolerated in secular communities. Often, apologists for this abuse—even though these individuals would never call what is going on abuse—defend the actions of the faithful in the name of religious freedom. In other words, they claim that critics who advocate that children should be treated better are really attacking people’s right to practice their faith. A perfect example is faith-healing-related child deaths, where adults believe that they have a right not to take a sick child to the doctor based on their religious beliefs. Tarico: What can people of faith do to address these problems? Heimlich: In Breaking Their Will , I discuss a number of solutions that could help reduce religious child maltreatment. Real change is only going to come when faith communities face some truths that, traditionally, they have not faced. And it starts with recognizing that faith can both help and hurt children. I compare religion to cars, guns, and fire: They all have the potential to greatly help people, but they can also be extremely dangerous when precautions are not met. All that said, some religious leaders and other members of faith communities have taken bold stands against child maltreatment, including that which is motivated by religious belief. For example, leaders of the Church of Jesus Christ of Latter-day Saints have traditionally opposed the corporal punishment of children; some religious leaders have turned in to authorities adults who have been accused of abusing children; and many others try to educate their communities about the need to take the problem of child abuse seriously. Heimlich: Children in religious authoritarian cultures greatly need the help that is offered by secular agencies, such as law enforcement and child protective services. But, for a host of reasons, adults living in those cultures are unlikely to reach out to those agencies. Many mistrust anything related to government. Some even believe such agencies work for the devil. Therefore, it is imperative for police, social workers, and government officials to reach out to faith communities that they suspect are abusing children to try to bridge what has been a very big gap of mistrust and miscommunication. I interviewed two state attorneys general who are doing just that, and they have seen improvement. One is Utah’s Mark Shurtleff who decided that fundamentalist Mormon groups would no longer be prosecuted just for practicing polygamy, unless they stand accused of abusing children. Shurtleff has also offered these groups psychological counseling. One of the counselors told me that there have been reports of child abuse, whereas before, no one would have reported abuse. Also, Oregon’s John Foote has tried to make inroads with a sect that was allowing children to get very sick and die because of members’ zealous beliefs in faith healing. Foote told me how one member of the group, a father, even called Foote to get advice on what he should do if his children got sick. Of course, Foote told the man, who did not give his name, that he should call a doctor. Tarico: Has your book aroused detractors? Heimlich: It’s too early to tell, since the book has just become available . (The release date is June 1.) But as I was doing my research and telling people about the subject of the book, I found that liberal believers strongly agreed that religious child maltreatment is real and a serious problem. I can’t tell you how many people have expressed relief that I wrote this book. On the other hand, conservative believers have tended to reject the notion that anything bad could come from religion. Rather, they want to only blame individuals rather than seeing the systemic problems that plague communities, generation after generation. Many apologists say that people who abuse children in a religious context are not “true” believers, so we should ignore religion as an influencing factor. My feeling is, many of those naysayers are rather ignorant about what is contained in religious texts and doctrines, as some seem to condone authoritarian parenting if not abuse. But, more importantly, is anyone truly qualified to determine what makes a “true” Christian, a “real” Jew, or a perfectly devout Muslim? I think we’d be a lot better off if we focused less on judging people’s religiosity and focused more on whether children’s needs are being met in religious environments. Valerie Tarico is a psychologist and writer in Seattle, Washington. 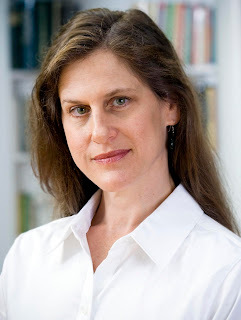 She is the author of Trusting Doubt: A Former Evangelical Looks at Old Beliefs in a New Light and the founder of www.WisdomCommons.org. Her articles can be found at Awaypoint.Wordpress.com.